Hello. I'm Vipul Bhatt, Owner/Center Director of Mathnasium of Glen Mills, your neighborhood math-only learning center. We help kids in grades K-12 understand math by teaching the way that makes sense to them. 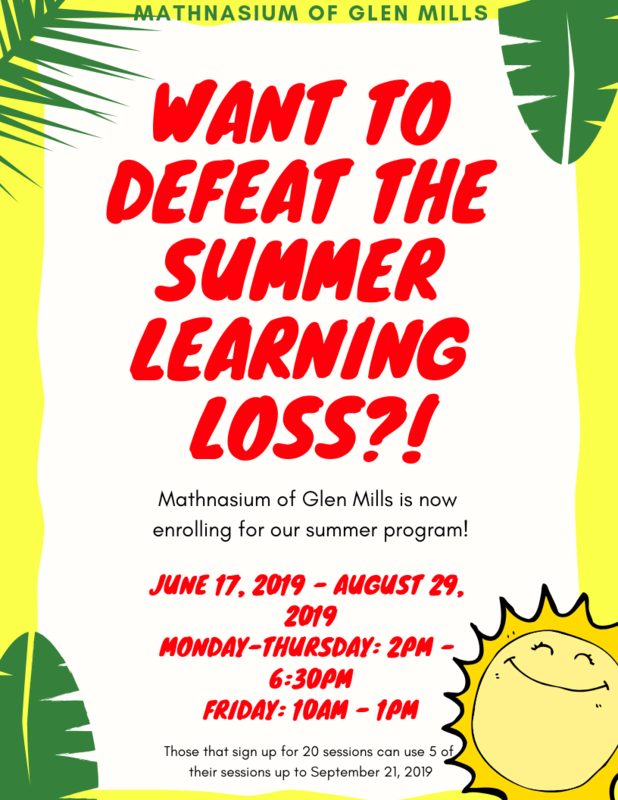 Mathnasium of Glen Mills offers math lessons, math tutoring services and after-school homework help to students in elementary, middle and high school. We proudly serve the communities of Garnet Valley, West Chester, Unionville Chadds Fords, Thornton, Booths Corner, Chester County, Media, Aston, and Kennett Square schools, as well as many of the local private schools. We offer year-round extracurricular math programs, special summer programs as well as private sessions to those who need it. Some subjects we cover at our math learning center include: K-12, Pre-Algebra, Algebra, Geometry, Trigonometry, and Pre-Calculus. We also accommodate private tutoring. We also offer: SAT prep, ACT prep, and College Algebra. Call us today at 610-358-5555 for a Risk-Free Assessment and to see how we can help your child. Success is just a call away!